Lathe Hack and old school tool use. I am going to dedicate this tread to the contraptions I am making for the Shopsmith wood lathe and my other metal lathe as I get around to it. I dont have every piece of fancy equipment in the world so sometimes I have to do it the old way and hand fit things. I also have to dream up ways to do things. No doubt many others have done the same. We are going to start out boring several 4 inch pieces of pipe to serve as skids on the round ways of the Shopsmith. These skids will be the base for the stuff that gets mounted to them. The stuff that gets mounted to them will serve to make it all rigid. I got the idea from looking at an old 1930's Yates American wood lathe done in the fashion of Art Deco. I want to keep the style of the lathe looking nice not some homemade looking pile of junk. Who ever had it before me and was using it were using hose clamps for the same thing I am making. They ended up in the trash pile. So we will start by looking down the bore of the head stock of the metal lathe at the boring operation involved. Then to the close quarters it takes to do this stuff while it is spinning. Next is the set up to index two lines on both sides of a circle very accurately. It isn't the only way but a very good way to do it. Then I have a thread cutting tool turned sideways to scribe the lines by moving the hand wheel of the carriage. Next is the reason for the lines on the tubes. First I am still using my old 30 some odd year old carbide scribe and square to complete the lines from one end to the other. Then you sea a bevel filed onto the edge of the tube, this will greatly help getting the hacksaw started. The use of the hacksaw following the line. Take it slow and about every ten strokes pull the saw and clean it off with an oily rag. The oil is a pain but I just replaced a blade I have been using for 10 years because I use the oil. This will make life easy on you for sure as the saw will want to hang up if you dont. Always use both hands when using the saw one on the handle and the other up front. Use a vise to hold the work. Here is the tube cut with the hacksaw it is nice and straight from one end to the other. Pipe is under stress when you cut it through it will spring open. I have eight of these little monster halves to make and I am down to my last one. Here they are cut in half. Next is after using the file, always stop and clean your file before you feel a rough drag. That rough drag is metal fillings caught in the file and casing a nasty finish. DO NOT oil the file. Here is how I am sizing them to fit the tubular ways on the lathe. You just squeeze the half with the larger mandrill I made. Keep testing until it fits. If you go too big just squeeze it back some. Here are the two halves fitting the tubular ways and how they will work. I have some hand sanding and polishing to get rid of any high spots so they glide smoothly on the ways. Next I have some cutting. drilling, threading, welding and so on to do. Here they are, all eight of them. You have more patience and skill than me, thats for sure. I'm glad to jump on that train as soon as it arrives in the station. - Why not using the parts I show in the close up ? 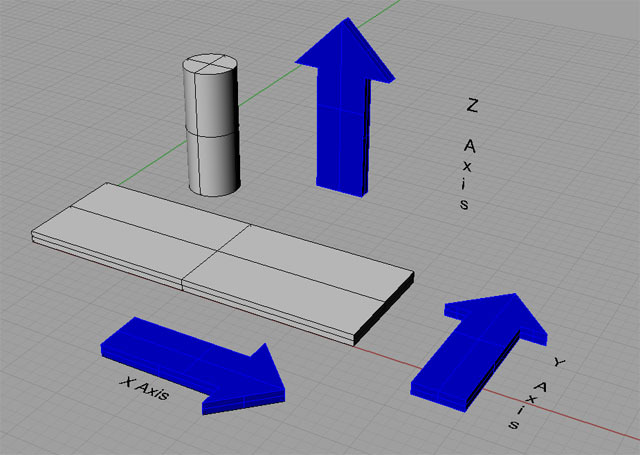 making the parts sliding vertically and horizontally would be fairly easy. - I would never have had the energy to use a handsaw, I would have used a thin disk on a grinder following a guide along the pipe. The gap would have been wider for welding but the job could be done. Of course I'll regularly read the posts as soon as they are published. Last edited by loulac; September 2, 2016 at 06:17 AM. Thank you, the skill is brought on by necessity and reading old books on how to use hand tools. Not to get on a rant but I am sick and tired of experts saying things are a so called LOST ART. Or these same experts on TV trying to duplicate what they did many years ago. The other one is people saying they dont have the tools to do it or it is too much work. What is too much work? My Neighbor said this to me one day and I said you are retired what else do you have to do, sit in the house and stagnate. Every machine on this planet is the descendant of men and hand tools. I remember a time when every man knew how to sharpen and balance a lawn mower blade. They knew how to sharpen a saw blade too. Now they dont seen to have the skill or the time. Lulac your English vocabulary is much better than my French. Here is an answer to your questions and explanations. The part in the picture on the left is a horrid pile of junk someone made. Parts of that part are in use as something else and I will show you what one is later. The part on the right in the pictuer is where the old saw and tool post used to sit. For me to do what I want to do I would have to modify that old cast iron part. I dont want to do this as it would destroy the integrity of the old part. It would be like drilling a hole in a Ming Vase to make a flower pot. What I can do with it is make it do something else to use on the lathe. I can mount my rotary table to it for one and a grinder too. All way to complicated to try and explain without pictures but I will try. This lathe will be set up under my other drill press and with an attachment to the big cast iron slide. I will be able to move parts on the X and Y axis under the drill press. I will also be able to horizontal drill at the same time. Or I can set materials up between the tail stock and head stock use the rotary table and drill in the Z axis by indexing. Now for the collars I made. They will not be welded back together. The top half of the collar will slide along the ways and the bottom half will be made to drop down or clamp on the bottom of the ways. Just like on a metal lathe with its tail stock or steady rest. The use of a cut off wheel to split the tubes. I didn't want to use it because my vise is set up in the garage next to my lathe. My grinder is outside where it belongs away from my lathe. Plus I wanted to demonstrate that you can make very accurate cuts with a hand held saw and you dont need special electric tools. I mentioned the word axis. Here is an explanation of it and a pictuer. X axis is from left to right or right to left as you are standing in front of something. Y axis is in and out. Z axis is up and down. No problem with axis, the words are a must on milling machines ! I Knew you knew what it was it is universal in the worls of machine work. The Shopsmith is now moved over to the drill press, what a task that was. Taking a heavy weight lifting break. It must weigh close to 170 kilos. Which means I now have my work bench back. Loulac I have a question. The lathe I have has a gear box and change gears in the back for metric threading. I want to cut 2 treads per inch but the lath only goes down to 4 threads per inch. The gear set in the back is on the top 40 tooth and the button 40 tooth. The center gear makes no difference all it does is drive the bottom gear from the power fed from the top gear. If I were to put a 20 tooth per inch gear on the top drive gear this would turn the bottom gear at 1/2 the speed as normal. By doing this if I set the gear box at 4 teeth per inch would I not be cutting 2 thread per inch? I dont have a 20 tooth per inch gear my smallest is 26 teeth for cutting metric threads. Here is a pictuer of what I am talking about. Loulac I was totally wrong the 20 tooth gear would have to go on the bottom not the top to make the lead screw turn faster. This might tear the gears up due to too much stress? Last edited by Worth1; September 3, 2016 at 02:14 AM. You’re right, the smaller gear should be at the source of the drive (near the motor). I must say you’re stalling me, cutting two threads per inch is quite unusual ! I’ve often heard of machinists losing a gear in the chips but never of breaking some cogs with too much resistance. For safety sake you can play it safe and make lighter passes. Cogs break when you change gears before the lathe is entirely stopped, but you know it. I’ve never made gears myself, I was lucky enough to have a professional next to my home who was always happy to help at very reasonable prices. If you really insist on 2 threads per inch you can have a gear made, show the professional the 26 tooth gear so that he’ll know where to go, but is it really worth the expense ? I don't think you can change the tooth pitch on one side. You'd have to change the size (and possibly pitch) on both gears. And I have to echo loulac. "Two TPI ??" loulac, you invited me some time ago to comment on your vocabulary, so here goes. You used the word "effort" in a previous post talking about the stress on a bearing. A better word would have been "force". "Effort" applies an intentional application of force. If you want I can try to find the post.